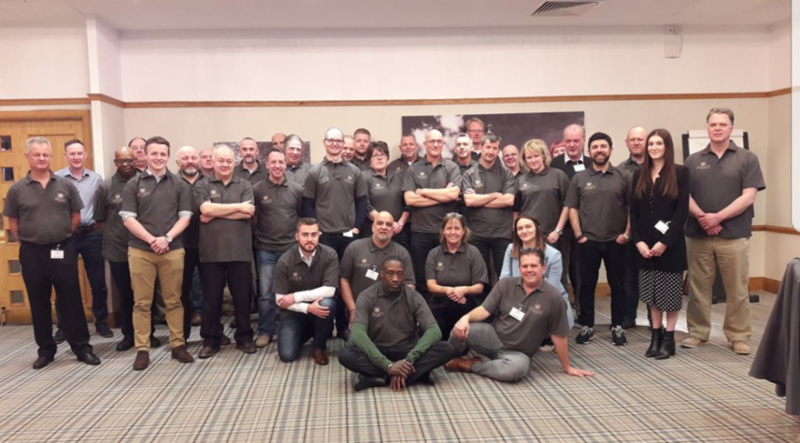 The first ever Lincrusta Approved Installer Conference was held last week at Lancaster House Hotel in Lancaster and was hosted by the team at Lincrusta (Heritage Wall Coverings Ltd). The word conference would normally send a shudder down my spine! I’m sure this is the same for most of us installers, being practical, hands-on people. However this two day conference left the 30 of us in attendance buzzing with enthusiasm and confidence in the products we have grown to love so much and work with over the years. 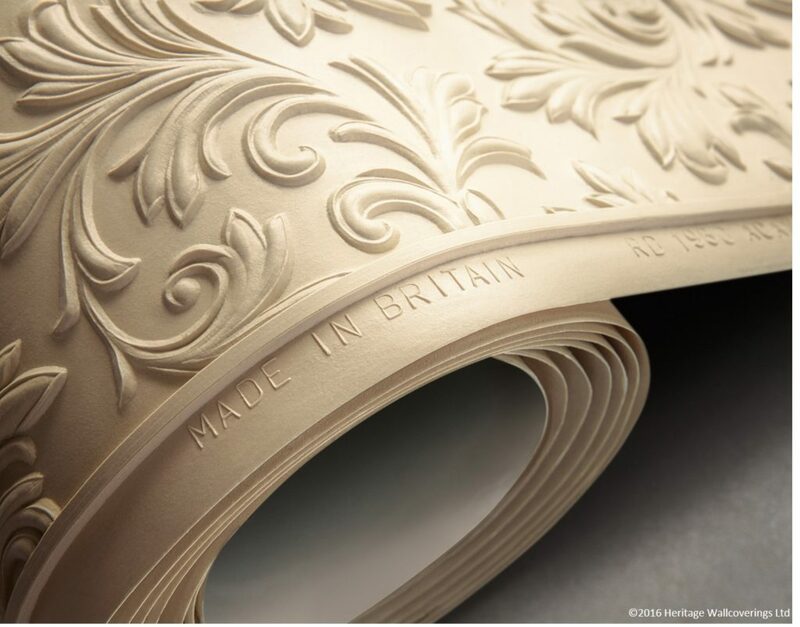 Following the success of celebrating 140 years producing Lincrusta. The company has been going through some rebranding over the past few years, including a brand new website http://www.lincrusta.com. In addition, the development and launch of some brand new designs which are unlike any other in the current collection – they are modern and contemporary with inspiration taken from nature and geometric trends. 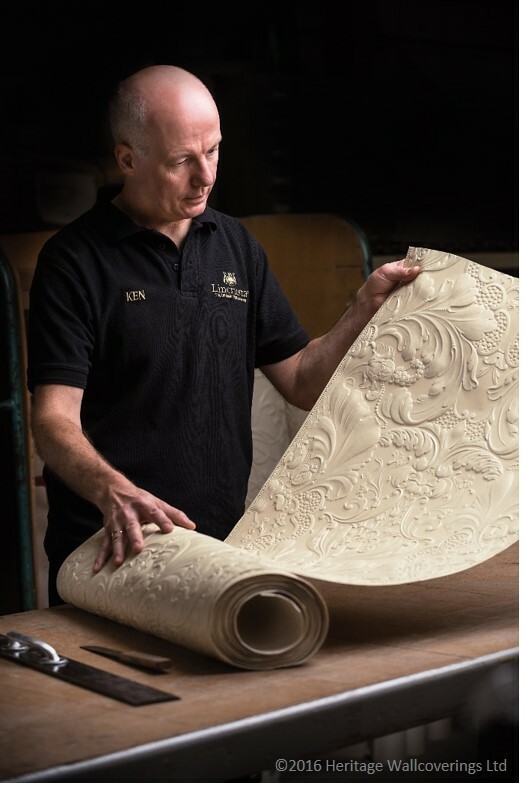 There is also a whole new restoration process in repairing some of Lincrusta’s bygone patterns, which are no longer in production and other high relief wall coverings. Exciting times for an Lincrusta approved installer. On the second day of our visit to Lancaster, we were privileged to have the opportunity to visit the Lincrusta factory. To see the manufacturing process first-hand. Having worked with this product for over 10 years, it was fascinating to watch the handcrafted process. From the first batch of raw linseed being put into the machine, to the final inspection of yet another flawless roll of this elegant, luxurious wall covering being made. 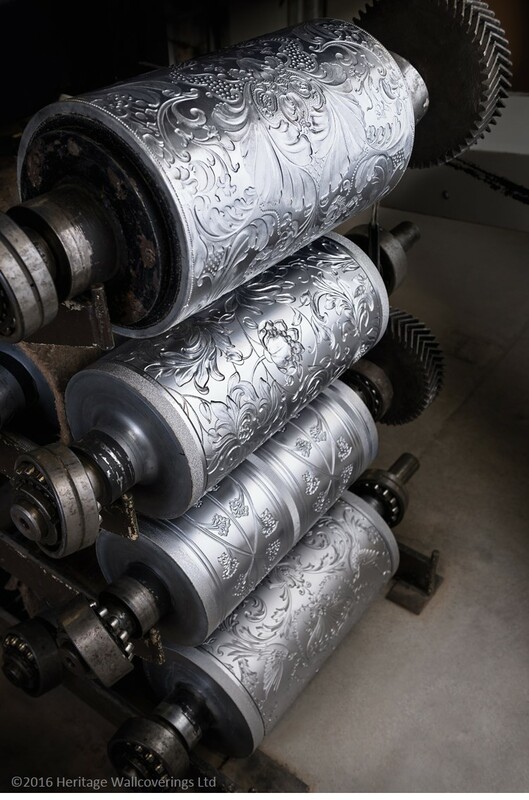 The heavy hand-engraved rollers used in the production process are fascinating to watch. They press out and print the wonderful patterns of Lincrusta effortlessly. Many of these rollers were melted down during the Second World War. Fortunately, due to the development of new restoration kits, historical designs and repeats can now be replicated to repair damaged areas. There is no secret in the installation of Lincrusta! However, there is an art. And although a competent decorator can potentially hang these timeless, classic wall coverings, using a fully trained Lincrusta Approved Installer will ensure your wall coverings, frieze or dado is installed and decorated correctly! All with the reassurance of full technical support from the team at Heritage Wall coverings Ltd. If you are considering a re-decoration project and thinking: distinctive, timeless, elegant, unique or even alluring! Consider Lincrusta and feel free to contact us to discuss your endless options. We work throughout Nottinghamshire, Derbyshire and South Yorkshire. Alternatively, we can put you in-touch with a Lincrusta approved installer, near you.